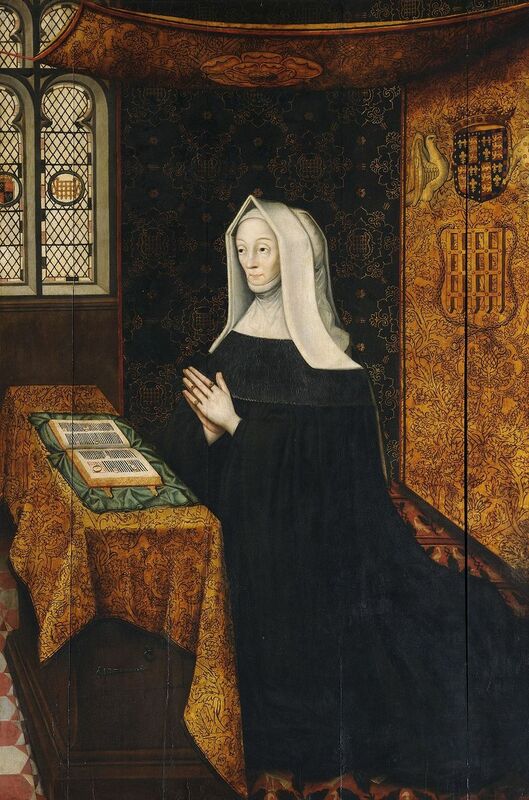 Lady Margaret Beaufort was born on 31 May 1443 at Bletso as the daughter of Margaret Beauchamp and John Beaufort, Duke of Somerset. Margaret had seven half-siblings from her mother’s first marriage to Sir Oliver St John and would later have another half-brother from her mother’s third marriage to Lionel de Welles, 6th Baron Welles. Her father was the second son of John Beaufort, 1st Earl of Somerset, the eldest son of John of Gaunt, Duke of Lancaster by his mistress and later his wife, Katherine Swynford. Margaret would never know her father. He died on 27 May 1444. Margaret was now a wealthy heiress, and Margaret’s wardship automatically passed to the King as was usual and he granted it to William de la Pole, Earl of Suffolk, although Margaret remained with her mother for now. Her mother would have been responsible for her early education. She certainly learned excellent French. By 1450, William de la Pole found himself deeply unpopular and on 28 January the commons in parliament ordered his arrest. Between 28 January and 7 February, he had his eldest son John de la Pole marry Margaret but they probably never lived together as man and wife. They were just eight and six years old. For William, the marriage was the final nail in the coffin. Margaret was, after all, a potential heir to the throne, and William was now accused of treason. He was exiled, but his ship was intercepted, and he was murdered on 2 May 1450. For now, Margaret remained with her mother but in February 1453 Margaret’s mother was summoned to court, and she brought her daughter with her. In April, they attended the St George’s Day celebrations of the Order of the Garter at Windsor Castle, and young Margaret received money from the King for clothes. He also ordered Margaret’s wardship to be granted to his half-brothers, Edmund and Jasper Tudor. He probably had a marriage between Margaret and one of the Tudor brothers in mind. Edmund was the eldest, and they married on 1 November 1455. She was just 12 years old, while Edmund was 24. Her first marriage was dissolved, and Margaret would always refer to Edmund as her first husband. The marriage was consummated straight away, despite contemporaries commenting that Margaret was of small stature and underdeveloped. She fell pregnant in early 1456, but Edmund never lived to see the birth of his child. He died on 1 November 1456 of the plague. On 28 January 1457, still only 13 years old, Margaret gave birth to her only child, a son. It was a long labour, and it could very easily have caused her death and the death of her child. It was a miracle that they both survived. It is believed that Margaret was injured during the birth as she never had another child. At the time, she was living with her brother-in-law, Jasper. She was devoted to her son from the moment he was born. 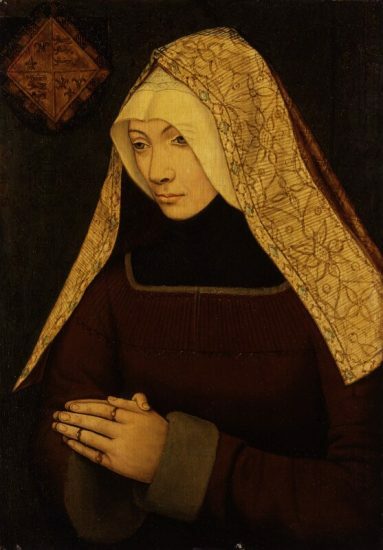 Within weeks of her son’s birth, Margaret had arranged her third marriage as she was aware that the King might force a third marriage upon her. She would wait out her year of mourning for Edmund and married Sir Henry Stafford on 3 January 1458. It was probably a happy marriage, and Henry referred to her as his “beloved wife” in his will. She may have lost custody of her son when he was about two years old. His wardship was granted to Jasper Tudor, and the Earl of Shrewsbury and Margaret and Henry visited him at Pembroke Castle. Time’s were troubled. As Henry VI descended into his own mind, factions began to fight over the throne. 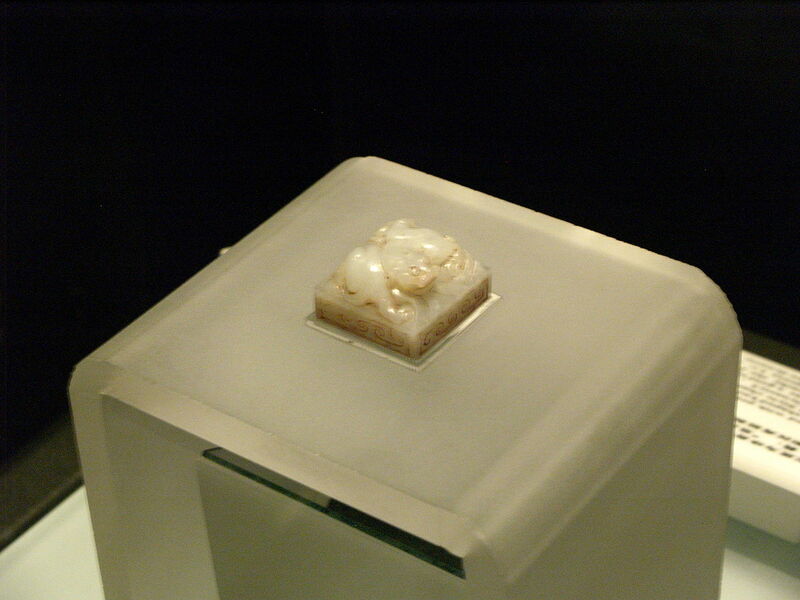 Henry VI’s wife Margaret of Anjou was defeated at the Battle of Towton and driven towards Scotland. Edward, Earl of March, a Yorkist, was now King Edward IV. Jasper Tudor sailed to Scotland to aid Margaret of Anjou. 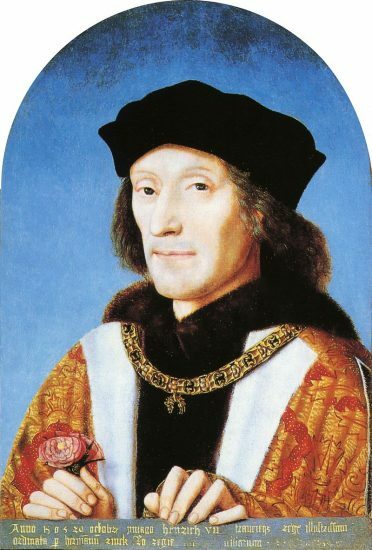 Young Henry was not immediately a threat to the new King, but he was stripped of his lands and taken into the custody of William Herbert. Margaret was not barred from contacting him, and they kept in touch. A huge part of Margaret’s life was devoted to religion, and even in her old age, she was renowned for fasting. Her daily life was strictly regulated around prayer and devotion, and she prayed so much that she injured her knees and back. The year 1469 saw the short resurgence of the House of Lancaster, but by 1471 Edward IV was securely back on the throne. At the Battle of Tewkesbury Margaret of Anjou’s son was killed and not much later King Henry VI was quietly murdered. Margaret of Anjou was imprisoned and was allowed to return to France a few years later. 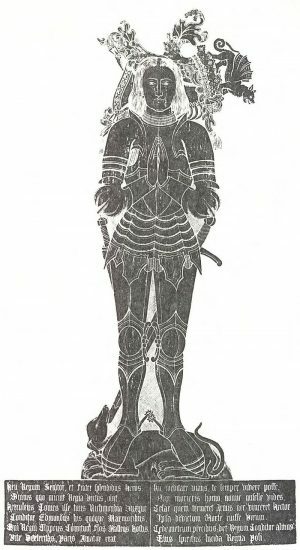 Sir Henry Stafford had been wounded in the Battle of Barnet, and he eventually died of his wounds on 4 October 1471. Young Henry Tudor went with his uncle into exile; his Lancastrian blood was now a serious threat. Margaret felt the danger too and wasted no time in finding a new protector and husband. In June 1472, she married Thomas, Lord Stanley, who was prominent at court. Once she had proven herself loyal, she could one day use that influence to return her son to favour. Margaret gradually came into favour as she attended on King Edward IV’s Queen, Elizabeth Woodville. She was well on her way to securing her son’s return to England when King Edward IV died suddenly on 9 April 1483. His son and heir, now King Edward V, was just 12 years old, and he was intercepted on his way back to London by the Duke of Gloucester (Richard, King Edward IV’s brother) and the Duke of Buckingham. Elizabeth Woodville felt threatened enough to gather up her daughters and the Duke of York to seek the sanctuary of Westminster Abbey. The Duke of Gloucester later demanded that she hand over the Duke of York and so she did. Elizabeth Woodville’s and King Edward IV’s marriage was declared null and void, because of a (possible) pre-contract between Edward and Eleonor Butler. King Edward V and his siblings were now considered illegitimate, and The Duke of Gloucester was proclaimed King Richard III. Margaret and her husband attended the new King’s coronation, and Margaret carried the new Queen’s train. What happened next remains one the greatest mysteries in history. The boy King and his brother disappeared from the Tower, presumably murdered. We do not know who was responsible for this. Margaret made contact with Elizabeth Woodville, still lodged in Westminster, to discuss the possibility of marriage between Elizabeth of York, the eldest daughter of Elizabeth Woodville and Edward IV and Henry Tudor, if he managed to overthrow Richard III. A conspiracy in 1483 failed, and Margaret found herself attained for high treason. Her death sentence was commuted to life imprisonment, and she was kept under house arrest. 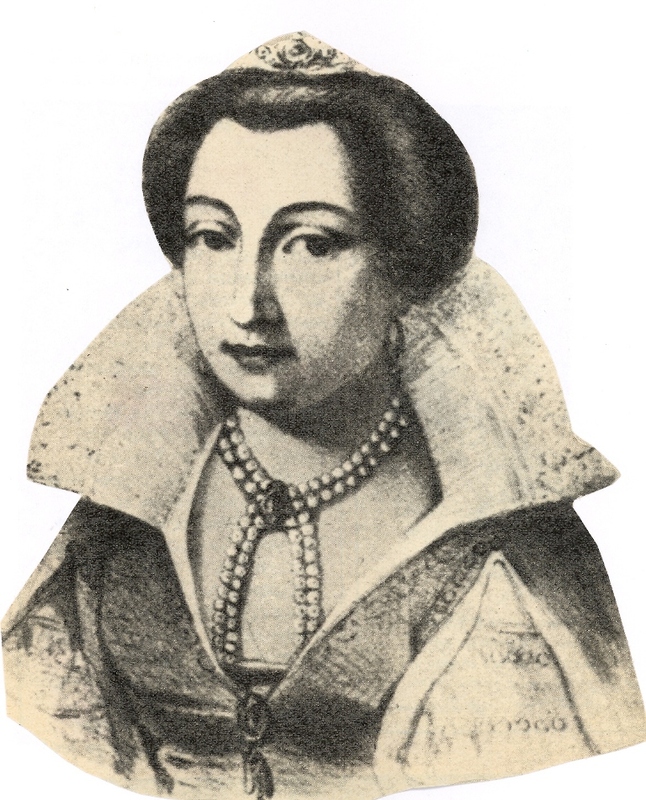 Her life changed again in August 1485. Henry invaded with an amassed army of around 5,000 men and defeated King Richard II at the Battle of Bosworth Field. Henry Tudor was now King Henry VII, and Margaret was My Lady, The King’s Mother. She would, at last, see her son again, after 14 years apart. Although she was not a Queen in her own right, she would not take a backseat during her son’s reign. 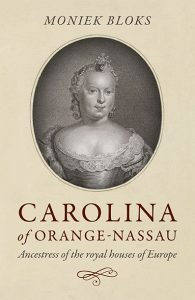 She took a vow of chastity, and an act was passed declaring her a “sole person”, giving her autonomy to act as a widow, despite the fact that her husband was still alive. She was often at court during her son’s reign. She would gain a reputation as a difficult mother-in-law to Elizabeth of York and she certainly overshadowed Elizabeth. Elizabeth and Henry married on 18 January 1486 and she gave birth to their first child, Prince Arthur, in September 1486. Margaret was present for the birth and also for the birth of her second grandchild, Princess Margaret in November 1489. Elizabeth would go on to bear eight children, though only three survived to adulthood. There were now three Queens at court. Margaret was essentially a Queen Dowager, Elizabeth Woodville was the actual Queen Dowager and Elizabeth of York was the Queen consort. There was bound to be friction. Elizabeth Woodville was eventually forced to retire to Bermondsey Abbey, where she died in 1492. Margaret’s relationship with Elizabeth of York was a complicated one. They were often thrown together and perhaps Henry feared that elevating Elizabeth too much would make it appear as though he only held the crown through marriage. Margaret often wore the same clothes as Elizabeth, some gifted by Henry and she signed her name Margaret R, which could stand for either Regina (Queen) or Richmond. Margaret was clearly the dominant party, but they also worked together if they shared interests. Elizabeth of York tragically died in childbirth on 11 February 1503. Margaret herself was widowed again in 1504, although they had been living separately for a while, it must still have been a personal loss. Bedankt voor alweer een stukje geschiedenis. Heb al zoveel geleerd!